Personalised pet food storage tin with scoop. 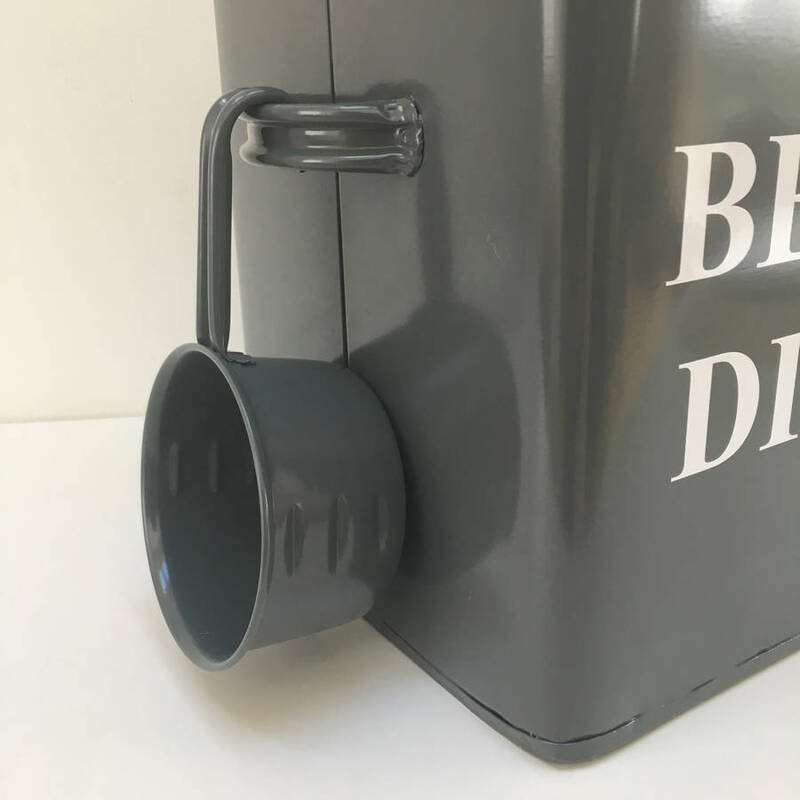 Available in cream or grey, this vintage style metal storage tin comes with a handy scoop and personalised with your choice of words or phrase. 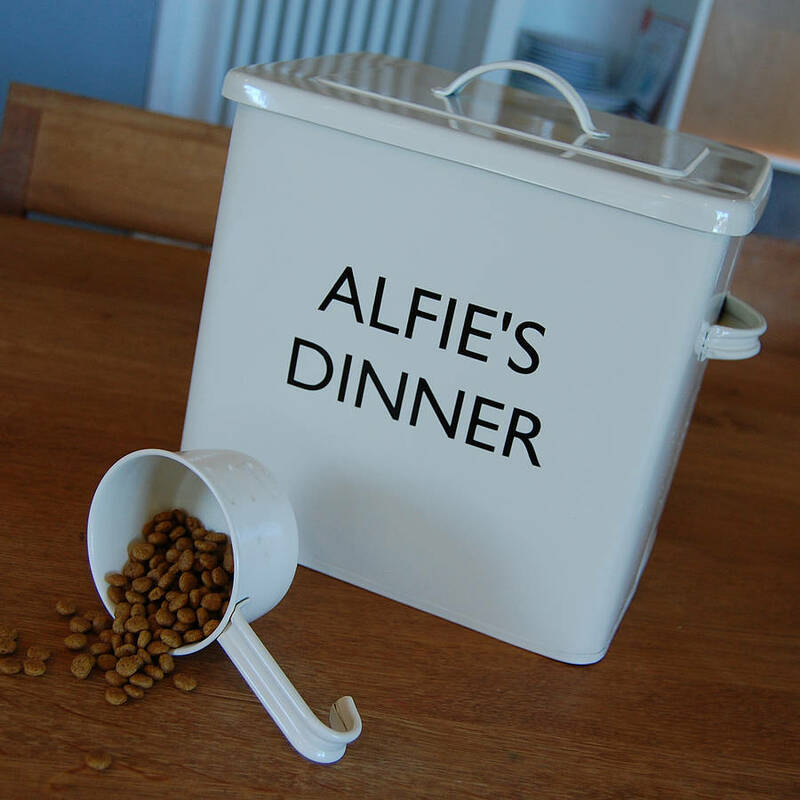 Some suggestions include Bella's food, Jack's treats, Alfie's dinner and so on. 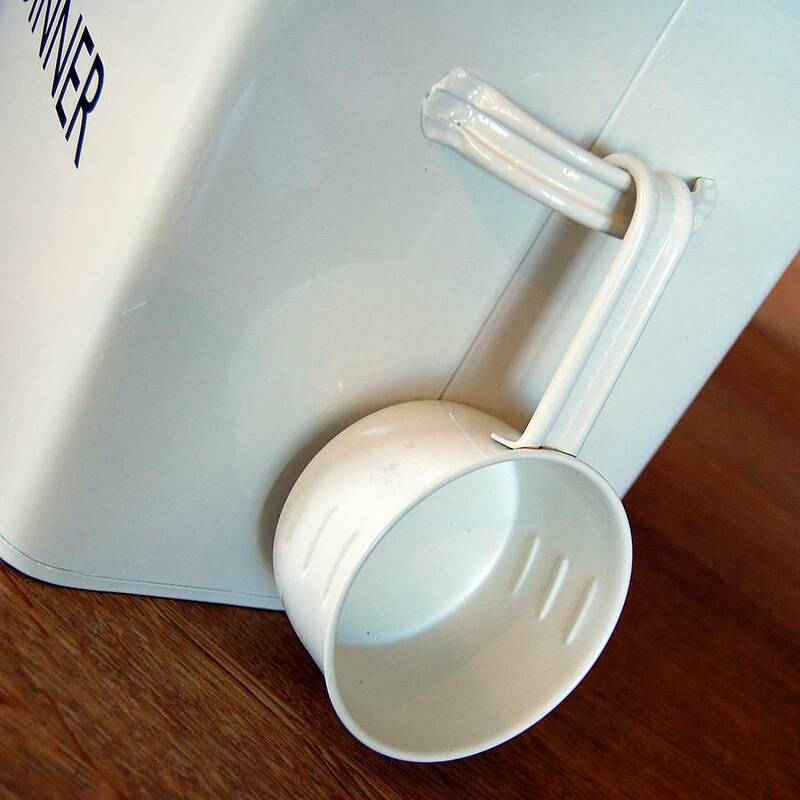 A stylish and practical addition to your kitchen or utility room. 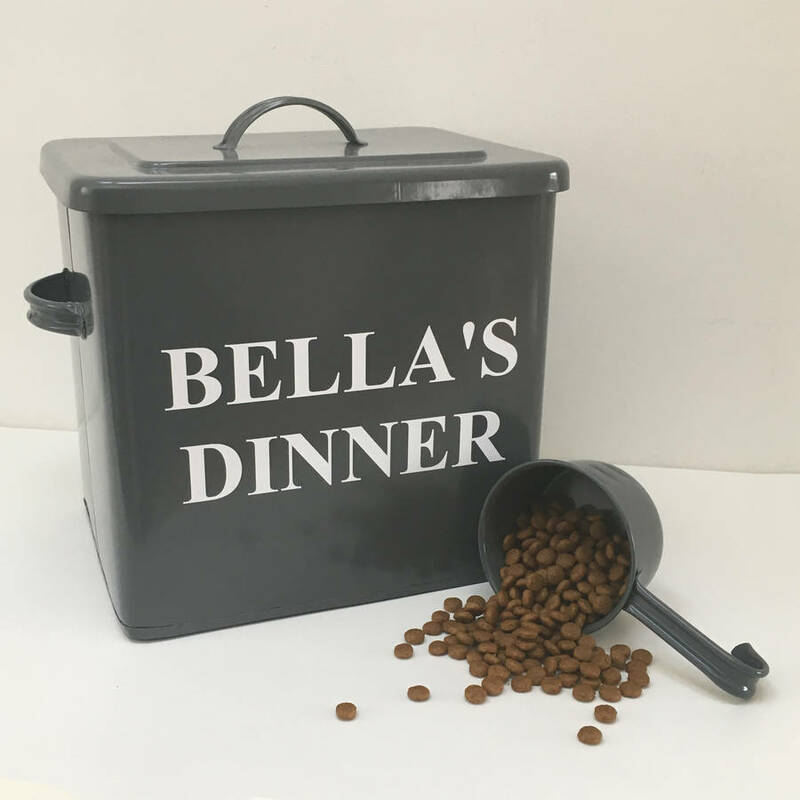 Perfect for storing your pet's dry food or treats and a great gift to a pet lover. Personalised to order, please allow up to 3 weeks for delivery. Please note that we use 2 different fonts on these tins, and the fonts cannot be swapped between tins. Enamel-coated metal. 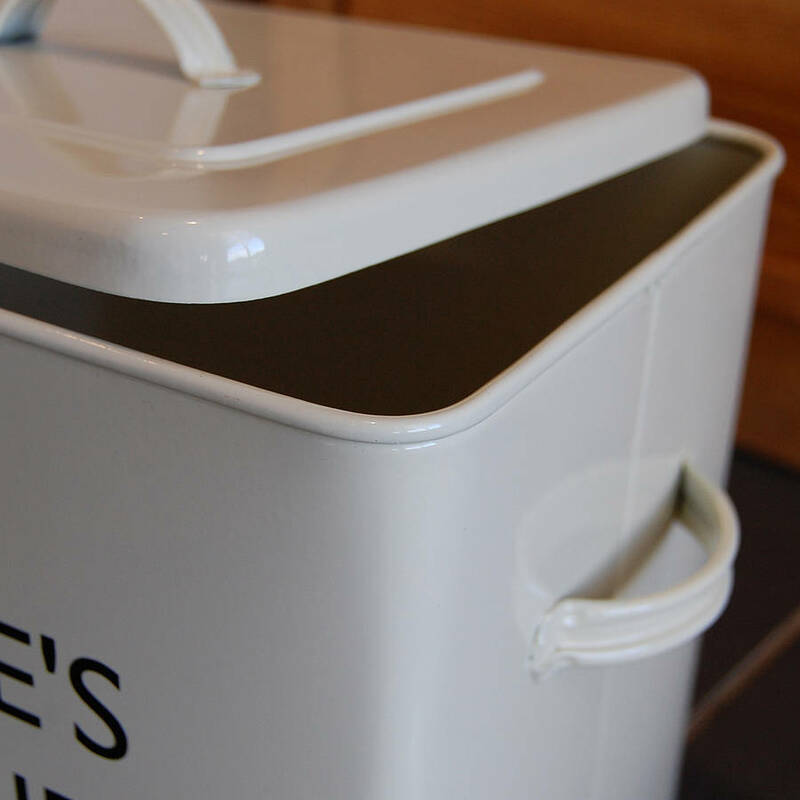 Tin manufactured in Wales and personalised by our local signmakers in hard-wearing, hand-applied vinyl. Handwash recommended.